Ahem. It's been awhile, huh? 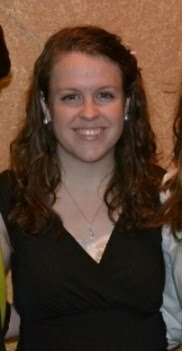 Since I last posted I have: gotten a promotion, gone to a Garth Brooks concert, and last but not least, gotten married. So obviously I've been really busy, and sadly my sewing has suffered. I do plan to do a round-up post of all the sewing and DIY that I did for the wedding! 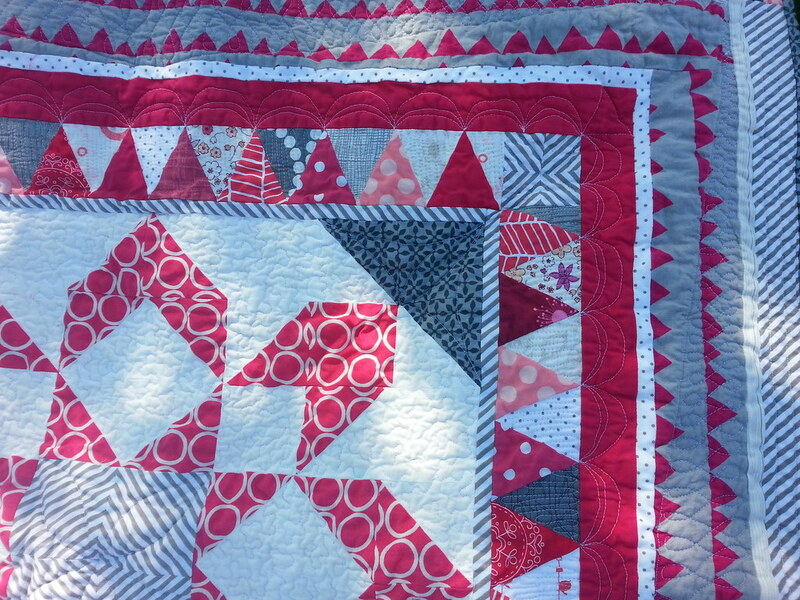 Luckily, I have some backlogged projects to show for the Bloggers Quilt Festival! I made this quilt earlier this year for my boss. She was set to give birth in late February and we were going to have a nice baby shower where I could gift it. And then in January she ended up leaving suddenly and being placed on bed rest and my best laid quilt plans were in shambles. So this didn't get finished until June...shame on me! Her baby's nursery was decorated in pink and gray, so I collected fabrics in that color scheme for a while. I don't do pink, so I went hot pink where I could. I used the Firework block from Simplify and reworked it to a size that I no longer remember. And then I just added borders as I felt like it. 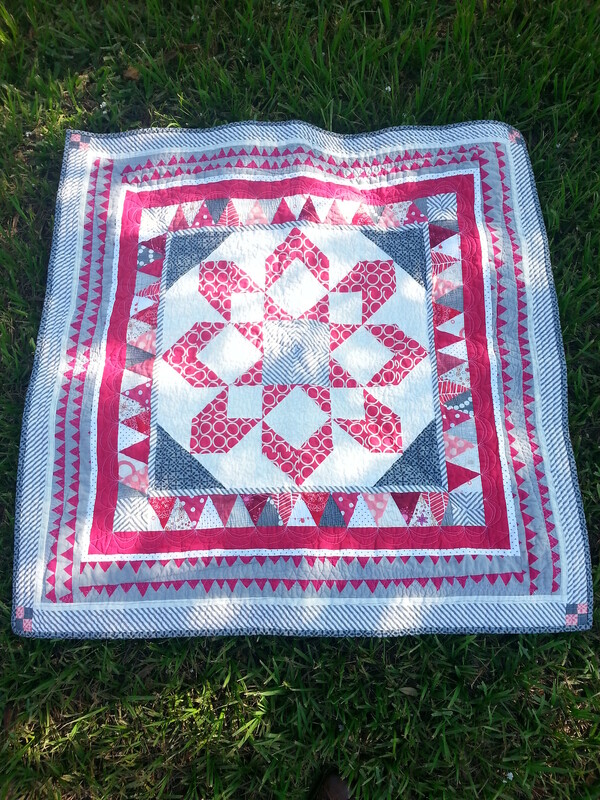 Originally the triangle border was random between the pinks and low volume, but I hated it, so I ripped it out and alternated between the pinks and gray/white. I also tried a checkerboard border and hated that too. So I went simple and tried to let the fabrics shine. 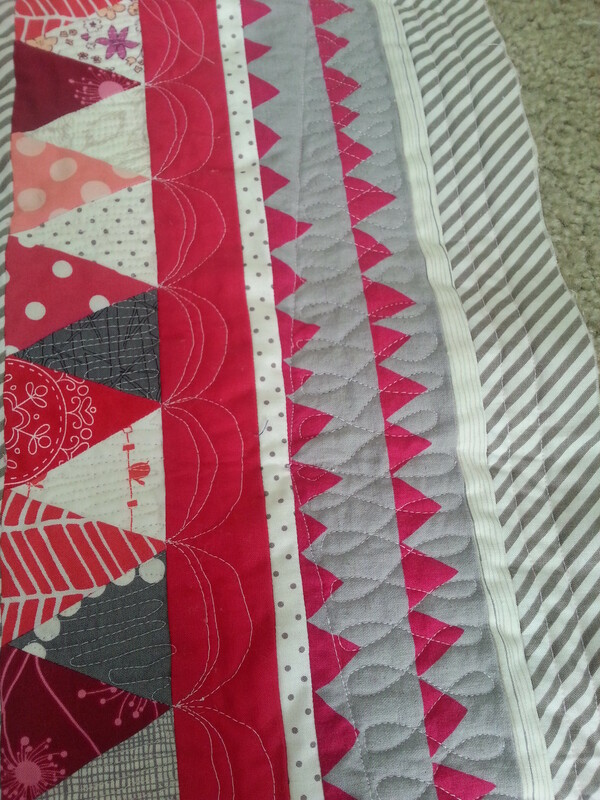 I really enjoyed manipulating that gray Riley Blake bias stripe fabric throughout the quilt. 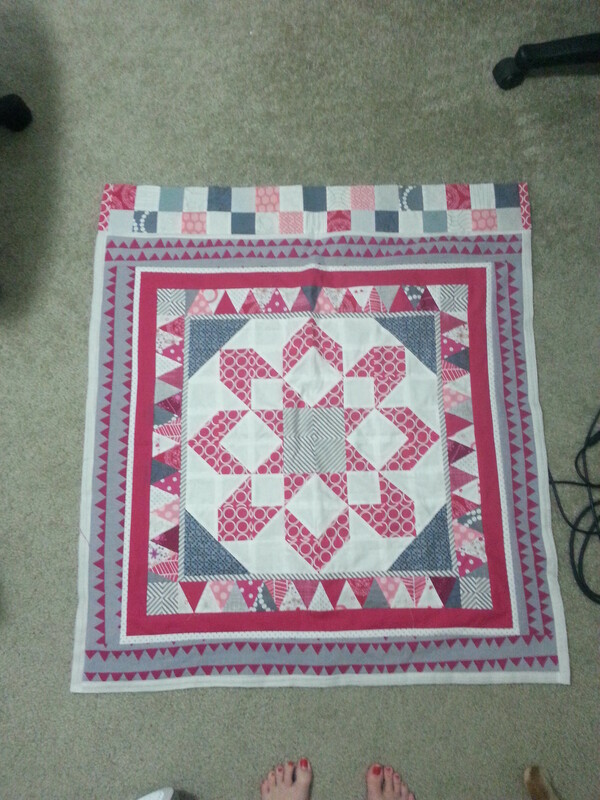 And then the quilting. 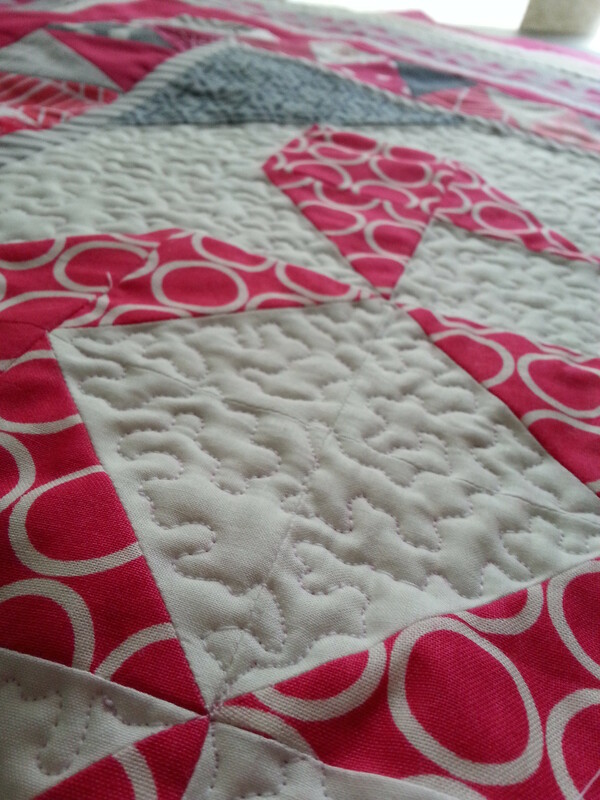 Oh, the quilting. 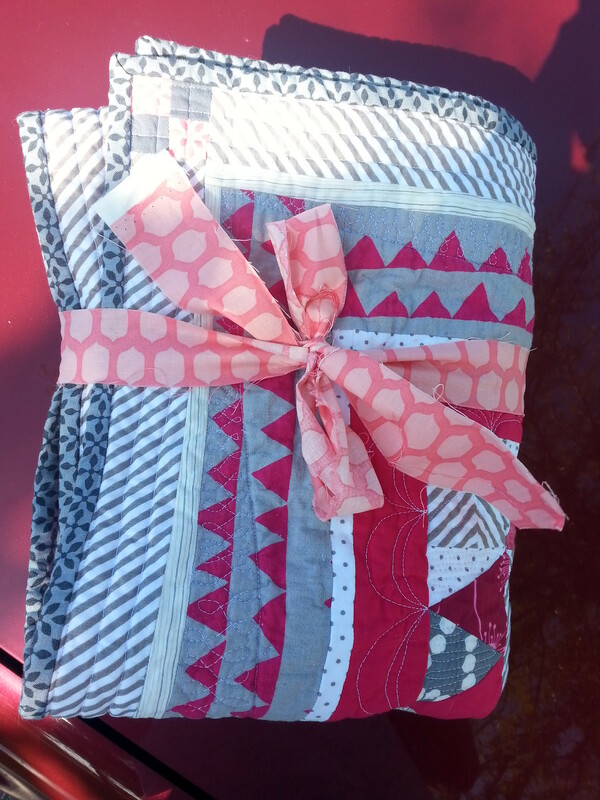 I really wanted to stretch myself in my FMQing on this little baby quilt. The back is hot pink flannel, so I knew the stitches would really sink in, and it's small enough to really wrangle through my machine. There's some stippling, orange peels, figure 8's, straight lines, scribbly lines, and clamshells. I bound it in one of my favorite prints from Jeanean Morrison's Silent Cinema line, wrapped it all up, and gifted it to my boss, who loved it. I figured I would enter this in the Home Machine Quilted category, because even though I know there are some amazing entries of people who are far more skilled than me, I'm proud to have pushed myself on this! So thanks for following me on my quilty journey and enjoy the rest of the Festival! 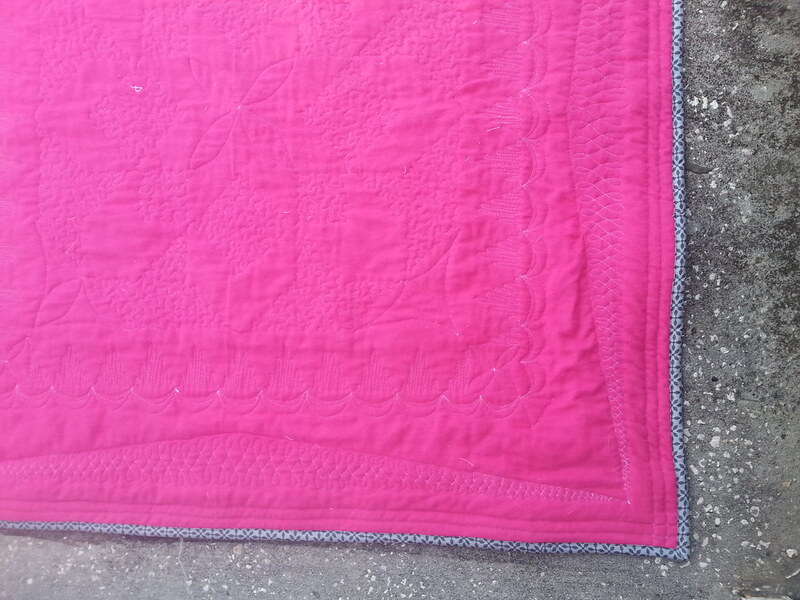 Very pretty quilt!, Like the way you quilted on the border! 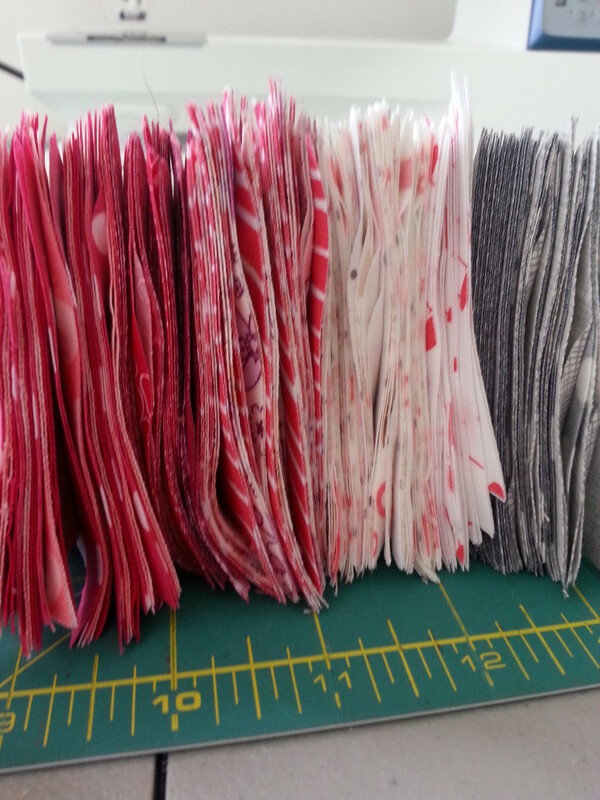 I always love the way you put fabrics together! 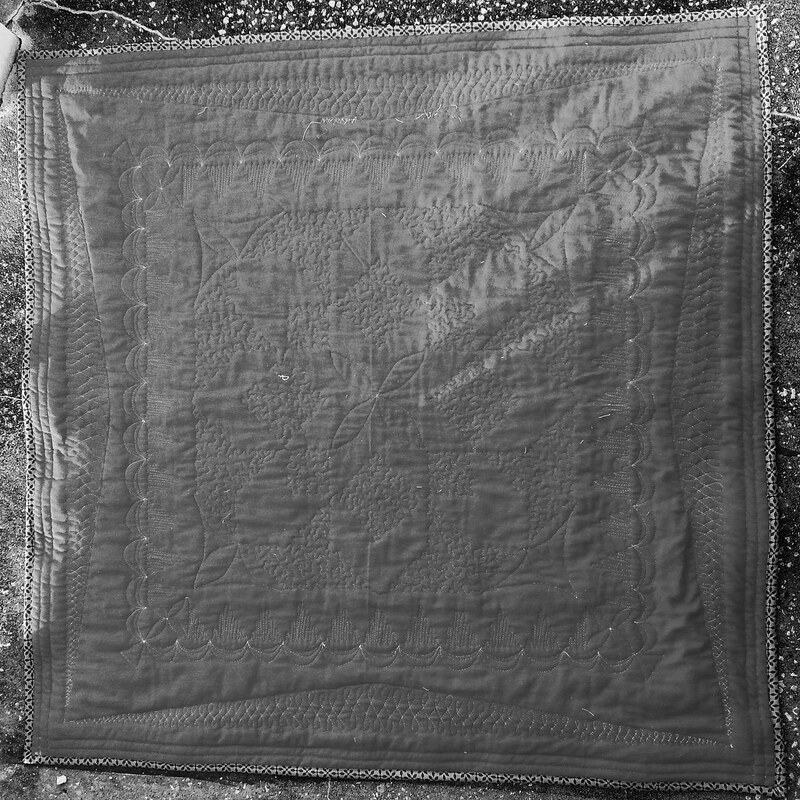 Your quilting on this is so unique and perfect. Great job! !